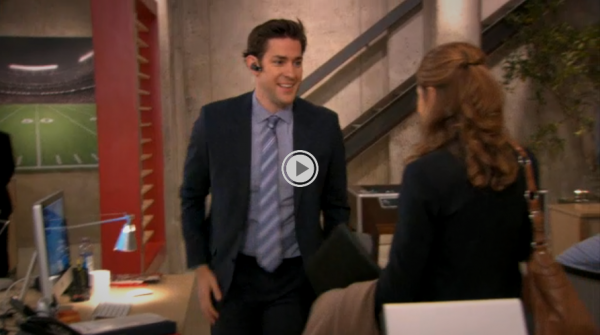 Jim Halpert is a character in the American version of The Office. One thing that interested me about the final season was Jim’s newly found entrepreneurial spirit. 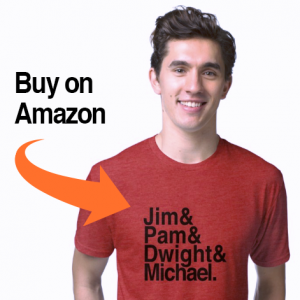 One of Jim’s college friends starts up a sports marketing company using an idea they had come up with in college and offers Jim a chance to partner with him. Jim initially says no after talking to his wife, Pam, but after seeing that Pete, also known as “New Jim”, is heading down the same career path as Jim, he decides to take the opportunity without telling Pam. When Darryl Philbin shows frustration with his job, Jim offers Darryl to join him in his potential opportunity, but Darryl tells him to tell Pam first, which he does. Pam seems to accept the idea of Jim taking the opportunity, but while Jim is excited, Pam is still upset he didn’t tell her immediately. Jim then impulsively agrees to put in $10K into the company, which angers Pam as that was more than what they agreed to put in and that Jim’s business partners claimed they were all set. Jim continues with his new business activities but finds that all of his business partners are in Philadelphia while he is still in Scranton. When the distractions Jim faces while talking over the phone prove too much, his friend says that him staying in Scranton isn’t working out for the business. He asks David Wallace if he can start working part time at Dunder Mifflin, handling any client problems from Philly. When David points out he might be needed in the office in some moments of crisis, Jim asks Stanley and Phyllis to cover for him, who agree, but not until after they take advantage of him. Jim takes Stanley and Phyllis on an expensive lunch. Stanley orders the most expensive items on the menu, and Phyllis proceeds to get drunk, prying a decorative wine bottle from a wooden partition, hoping it’s filled with wine. After the trio return from lunch, Phyllis laughingly tells him that of course, they’ll cover for him, “We love you guys.”. Before Jim leaves to start his sports marketing job in Philadelphia, he and Pam convince the office to allow Dwight to throw his version of a Christmas party so that Jim can poke fun at him. However, Jim leaves before the party is over, upsetting both Dwight and Pam. When Jim returns unexpectedly, Dwight gives him a hug, and they finish Dwight’s party with a tradition of breaking a pig rib. When Pam visits Athlead, Jim’s receptionist says, “We can’t wait for you and the kids to move to Philly,” and Pam looked surprised. From the moment Jim invested in Athlead, Pam’s attitude has been ‘This is taking Jim away from me’ instead of ‘this is making Jim happy in a new way.’ Obviously, they both need to be more honest about their futures, but I don’t think it’s unreasonable to expect Pam to come to the conclusions that Jim has never been happy with his job apart from Pam’s part in it. He’s happy with his new marketing job, and if it becomes something sustainable for him, his life is going to change. While she was upset with Jim for not telling her about Athlead in the beginning, she still supported his decision to go. She is raising two kids on her own while Jim is in Philadelphia, which Jim didn’t have to do when she did her two career experiments. She has only complained to Jim one time about him not being there, and it was only after he was already lashing out at her. I highlighted and include all of this because it’s interesting to see how the writers at The Office think about startups. It seems they’ve totally neglected things like product/market fit, lean methodologies, cost-benefit analysis, profit/loss statements, or business plans and simply focused on how one person’s decisions affect a group of people. There are two types of families in this show. There are the ones that exist at home and the ones that tie the office together. Both are equally important in this show’s eyes – much more than any business. And that seems to capture the essence of the show – that’s what Michael Scott always talked about. It wasn’t about selling paper. It was about loving people. That’s Dunder-Mifflin. Will that be Athlead too?